Cattleya orchid flower with yellow sepals and petals and yellow lip with a hint of red. Cattleyas are often referred to as �queen of flowers�� with big showy blooms and often used to make corsages. Cattleyas and other orchids are epiphytes or air plants that grow on top of other plants for physical support and are not parasitic on the supporting plants. 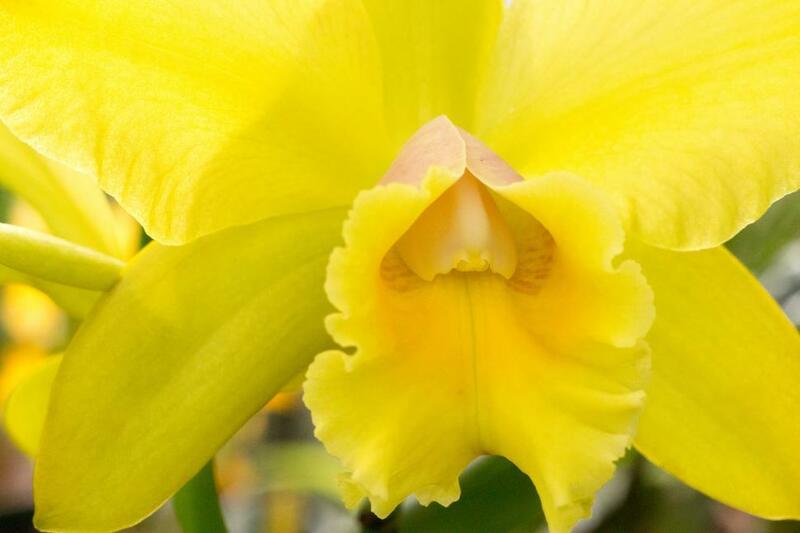 The image of this cattleya was taken in the Orchid House at Duke Farms located in Hillsborough, N.J.